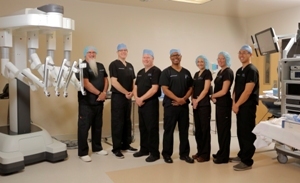 At Mid-Florida Surgical Associates, our surgeons are highly skilled in robotic surgery procedures using the daVinci robot. Our surgeons have over 60 years of experience treating a variety of cancers, including breast, colon, skin and thyroid. Our physicians have 60 years of experience helping guide women through screening as well as treatment of many breast diseases. The focus of our practice is to provide the very best in surgical care to our patients. We strive to treat you like family. The appendix is a small, finger-shaped organ that comes out from the first part of the large intestine. It is removed when it becomes swollen (inflamed) or infected. An appendix that has a hole in it (perforated) can leak and infect the entire abdomen area, which can be life threatening. Dr. Johnson and Dr. Florin established Mid-Florida Surgical Associates in 2004. The group proudly serves the communities of Lake, Sumter, and West Orange counties. Our Staff now consists of five general surgeons and three physician assistants. 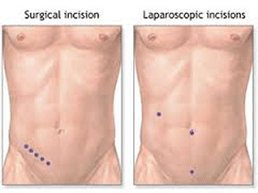 Is minimally-invasive surgery right for you?